Alessandro Santini, an Italian doctor from the twenty-first century, lives an ordinary life in modern day Florence. But one evening, he passes through a swirling vortex caused by a supermoon and discovers he has stepped three hundred years into the past. Countess Rose Estes is torn between following her dream of becoming a historical painter and her duty toward her family. After Rose’s father is wounded during her birthday ball, Alex and Rose burn with questions: Who attacked him with a flying dagger? Why? Forced to go to Siena and spend fourteen months together, Rose and Alex find themselves drawn to each other as they search for answers and discover secrets that go deeper than they ever imagined. As the portal’s opening approaches, Alex finds out that Rose has been poisoned through the roses she’s been receiving. He has two choices to save her life—take Rose to his time or go by himself and bring the medication she needs. Born in Vaslui, Romania, and educated in both Romania and America, Carmen has been in the US since 2001. She’s smart, gorgeous, kind, and her accent is utterly charming (Romanian with a hint of Nashville, where she now lives). Her debut novel combines time travel and romance with an intriguing historical mystery. She also blogs about life, miracles, gratitude, simplicity, and interior decorating. Every so often a book comes your way that defies categorization. 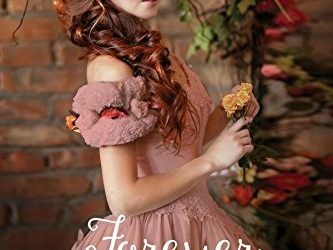 That’s the case with Forever Rose, which is both a contemporary story in an historical setting, and an historical romance with contemporary bookends. As well, it’s also a fantasy with a touch of magical realism, and there’s an element of mystery to round things out. But a book is not merely its category, and Forever Rose transcends all of the possible boxes it could fit into, and is, ultimately, a wonderfully romantic, sometimes funny – sometimes poignant, strangely compelling story that takes you from the contemporary world of medicine and laser technology to eighteenth-century Florence, and makes you look up at the full moon and wonder what magic it might bring to your life. Author Carmen Monica Oprea writes her period characters with an ease that I wish more writers would find. They never sound out of place, or out of time, but neither is their language stilted or inaccessible. Her lead character, Rose, is both wise and witty, despite being just twenty (though, obviously twenty in the 1700s is much different than twenty today), an accomplished painter, and a surprisingly enlightened young woman. Her sister is more ‘typical’ – overly entitled and somewhat annoying – and her parents feel period appropriate, but are also fully realized characters, and not just cardboard cutouts. Similarly, Alessandro Santini – Alex – the young doctor who steps back in time during a full moon – is perfectly plausible as a doctor who has known tragedy and is too alone in our world that is so bright and antiseptic. I really liked him, and I was willing to follow him on his journey. At 303 pages in the paperback version, this novel is just long enough to be really satisfying, but short enough that, if you’re me, you can read it on a single, stormy afternoon. While I figured out the ‘mystery’ part of the story relatively quickly, knowing the truth of ‘whodunnit’ did not spoil my enjoyment of the novel at all. 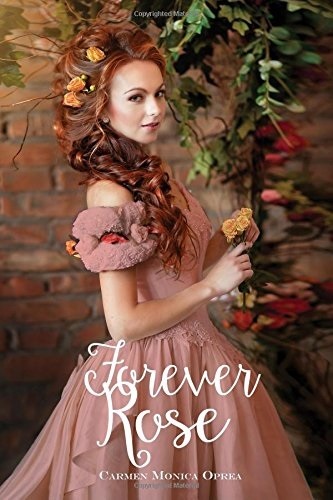 If you are in the mood for a romance that is a bit meatier and includes a bit more of a speculative bent than most such stories, or if you just want to read about the lengths people will go when they find the person who is right for them, you will love this book, Forever Rose. Goes well with a glass of homemade limoncello, sipped slowly in the moonlight with the love of your life.